Years ago after I had an appendectomy, a sweet friend of mine brought homemade potato soup to my house for dinner while I was recovering. She was so kind to share the recipe, which included swiss cheese as a secret ingredient. Since then, I’ve been adding a little swiss cheese to potato and broccoli soup. It’s a subtle flavor, but I think it adds so much. 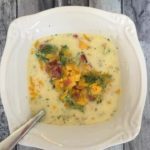 Homemade Broccoli & Cheese Soup is one of my favorites, but when researching the nutritional information, most recipes I found were too high in carbs for my keto lifestyle. Upon further research, I found several recipes on Pinterest that were much more Keto friendly, so I started experimenting. I usually add an ingredient from one recipe, take away an ingredient from another recipe then tweak other ingredients to make a recipe of my own. 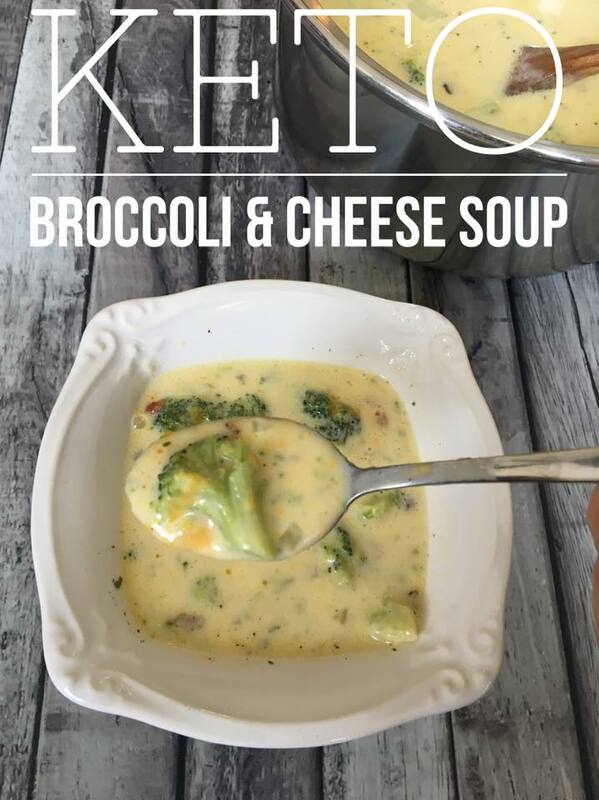 I think this recipe for Keto Broccoli & Cheese Soup is the best I’ve ever tasted, and it was easy to whip up at lunch today. In a large saucepan add 3 cups of chicken broth and bring to a boil. Add broccoli and cook on medium/low for 6 minutes with the lid on the pot until broccoli is tender. While the broccoli is cooking, melt butter in a skillet and saute diced onions and garlic until onions are translucent. Add 1 cup of chicken broth, heavy whipping cream, cream cheese, spices, and salt/pepper to the onions and garlic in the skillet. Bring mixture in the skillet to a boil and whisk continuously. Once it starts boiling, add all of the cheeses, stirring with a whisk as it melts. Reduce heat to low and continue to simmer for 6 minutes then remove from heat. Add cheese mixture to saucepan with the broccoli and chicken broth. Summer on low for 5 minutes. Turn stove off and remove from heat. Optional: to thicken soup add 3/4 tsp of Xanthan Gum. Stir well with a whisk then allow to thicken for a few minutes before serving. Serve each bowl with shredded cheese and bacon on top. 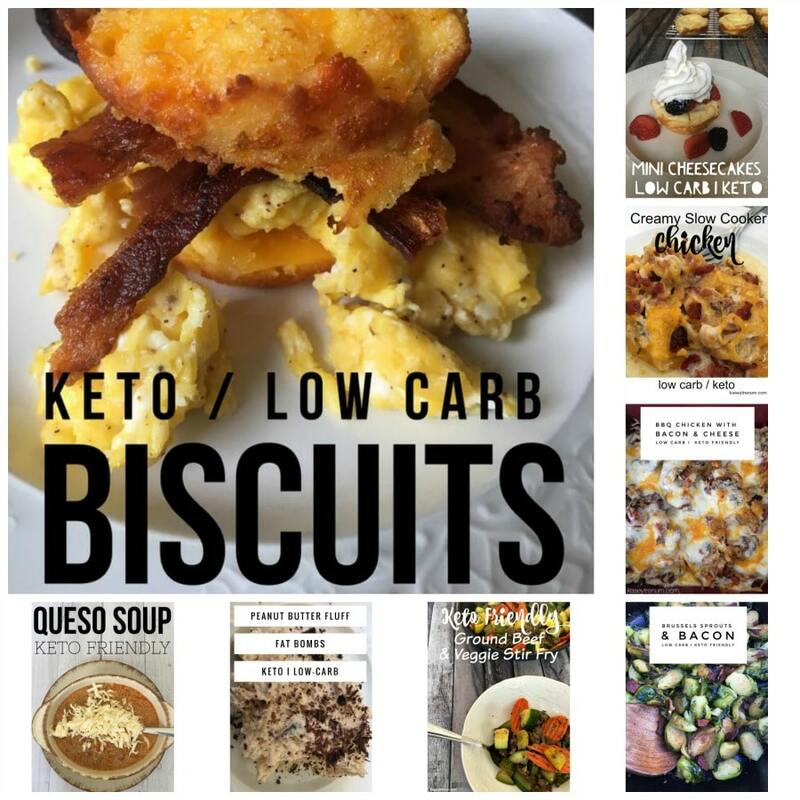 For more Keto Recipes, check out my Keto Recipe Index. Is 1 cup the serving size? Thank you! The recipe looks great. I can’t wait to try it! I just divided it into equal servings. When you say you divided it what exactly do you mean ? I’m just now learning all this and this part usually confuses me. Thank you. I just divided it out into bowls evenly. In order to log the macro nutrients & calories properly, it’s important to know the serving size for the nutritional information you listed at the bottom of the page. Can you please specify the serving size you used for the nutritional info? The recipe card states 8 servings. All I do is to divide it equally into 8 equal servings. The number of servings is at the top of the recipe card in the post. It can also be bought at Walmart. For best results, use pre-shredded cheese and add it way slower than you think is necessary. Perfect! It always works perfectly for me too, but you are right you do have to add it very carefully. Glad you loved it. I was so excited to try this recipe! Did it today, but the cheese clumped up and no matter what I did, it wouldn’t blend. And I added it slowly, as advised. Any advice? It mostly all stuck to the bottom of my pot. I mafe tjis and it was very liquid, how do yoy thicken it up? Hi Char, it should be more liquidy than what you might be used to as it doesn’t contain flour or cornstarch (thickeners), which are both heavy laden with carbs. Can you use a smidge of xanthum gum to thicken it a bit? I’m sure you could. Let me know how it works. I may add it to the recipe next time I make it. 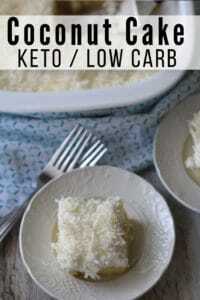 Here’s a tip for getting it thicker without additives. Let it cook down for about 12-15 mins before adding the cheese. It will reduce by 1/4 to 1/2 and become really creamy. Mind you, this also reduces the overall volume so you will need to account for that. Hope this helps! Ingredients are great, but the outcome is not. I added the cheese as slow as humanly possible, and still ended up with a slop of cheese, and a very messy pan. I am going to try and eat it, as I hate wasting this much, but I will not be it making again. It really is not easy to melt cheese in soup. If you google how to melt cheese properly there are tons of different posts with even more suggestions (you are not alone in your experience). The first time I made it, the cheese seized up for me too. The next time I made it I made sure I used preshredded cheese, and melted it s l o w l y (slower than I thought possible) and it turned out beautifully. I melted the cheese in some of the heavy cream in a separate pot. We use this same method to make cheese sauces for vegetables. The trick is to stir, constantly. I then added the cheese sauce to the main pot, it tasted delicious. Definitely a keeper for our family! Fantastic! Thanks so much for the tip! That’s exactly what I did, came out perfect! Now can we freeze the leftovers? I haven’t personally tried freezing it because we always eat it all. Give it a try and let me know how it turns out. I was reluctant to try this recipe after reading about clumpgate so I researched other recipes and then thought well maybe it’s clumping bc it’s getting cold. So I cooked everything then put it in the crockpot and set it on high for a bit – added cheese in – actually dumped it in. As long as the soup was hot – cheese was melty, perfect actually. I also added herbed cali steamed rice. My next addition will be to add shredded chicken to this recipe. My fam went nuts over it! Delicious and THANK YOU! Oh Jenny…Thanks for sharing those tips and variations, sounds delicious! Casey luv all your recipes!! Don’t have swiss and can’t get out to shop. What’s another option for the swiss? I have mozz, jack, a couple kinds of cheddar, parmesan and myzithra. You could substitute with any of those you wanted, the taste might just be a little different. So 8 servings equals the 460 calories? Or one cup does? That info is for one serving. I made this tonight. It was delicious. I will definitely be making it again. I just made this tonight. I used an immersion blender because I like mine creamy. This is the second recipe I’ve tried from you and it was the second recipe that was awesome! I didn’t have the Swiss or the cream cheeses. Apparently I ran out. I upped the broth by a cup. I did use the xanthum. I like a little more garlic and pepper so I added an extra clove and pinch. It was filling and tasty. Thanks a bunch! Sounds delish! I’m so glad you enjoyed it. I just made your Keto Broccoli Cheese Soup. It was the best I’ve ever had!! My husband loved it too! I look forward to making more of your recipes! Thank you!!!!! Velveeta cheese is not keto friendly to the person who commented that. Also, “3 slices of Swiss cheese” is not measurement specific. Can you let us know how many ounces of Swiss cheese? Thanks. I’m not sure how many ounces. It is just 3 slices of deli swiss cheese. You can add more or less if you’d like. Broccoli Cheddar soup has always been one of my favorites, but it never lived up to my expectations…until this one! As my husband and I were having dinner last night neither one of us could stop commenting on just how delicious the soup was. Thank you for creating and sharing this delicious recipe. It definitely well stay in the rotation with my winter soups. Yay! This makes me so happy. I’m so glad you loved it! I had no problem with the cheeses melting and Inuswd freshly grated cheeses. I didn’t have Swiss so I used 3 slices of Gouda. I didn’t have nutmeg either so I used pumpkin pie spice. It was delicious! We added some smoked sausage instead of bacon as it was our only meal of the day. Thanks for a great easy recipe! Kasey, thanks for having the Nutrition info print with the recipe – it really helps with counting carbs! I made this for my friend, and had to give her the recipe too! Only used cheddar cheese (that’s what I had), and it did not clump. I think the trick is to make sure your soup is hot enough and to keep stirring it. The cream cheese aga a nice kick. Perfect! So you both loved it. 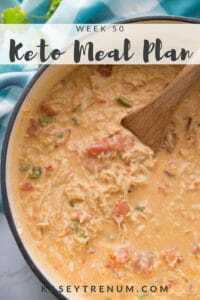 I started Keto 2 weeks ago and I was dreaming of soup as it is one of my staples during the winter months. I came across this recipe and made it for lunch today. It is absolutely delicious! I actually prefer that it a little more liquidy than some, because it feels more like soup. I added some cauliflower with the broccoli and once it was done mashed it with a potato masher before adding the cheese mixture. So yummy with a little bacon on the top. Thank you. Since one of hardest things for me trying to eat low carb is having time to prepare food I am ecstatic toI have enough for the next several days!! 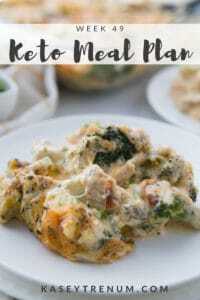 We had unseasonably frigid weather so I decided to try this Keto recipe with a Ceasar salad for dinner last night. 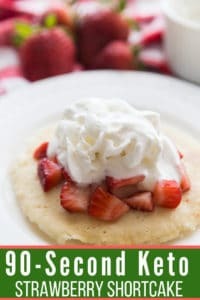 My non-Keto husband could not stop raving about how delicious it was and told me that next time I should make a double batch to freeze in individual portions so he could take it to work for an easy lunch. Since I’m obsessed with my new vitamix, I blended the finished product for a few minutes right before serving and it became this beautiful, smooth soup with the best green color! I had to modify the recipe based on what I had on hand. I only used 1/2 cup of farm-fresh raw cream because that’s all I had left. I drink bone broth regularly so I used this in place of chicken broth and dropped Munster in stock pot in lieu of Swiss. In addition to the ingredients that were called for, I used cayenne pepper and some mustard powder as seasoning (we like a little sultry and spicy kick to our cuisine.) Parsley and nutmeg were omitted. Also, I had tapioca starch on hand from making a paleo carrot cake a few months ago so I used 2-3 tablespoons of that. I hope the Keto police don’t ticket me for using that instead of x-gum. That sounds great. I love how you can take a recipe and make it your own with a few tweaks here and there. Great job! This sounds great! Unfortunately I can’t get out to shop today to get xanthan gum due to sick kids. I’m wondering if I could use coconut or almond flour to thicken the soup? I haven’t tried either so I can’t say for sure. However, I have made it without and although it is very thin it still tastes really good. That is interesting. I’m so glad it worked for you. 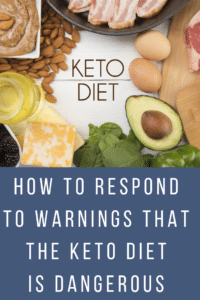 Ok, so My wife and I have been on our keto journey for going on 7 weeks. She is a Big fan of Broccoli Cheddar soup but most are carb heavy. I surprised her with this soup tonight and she said it was better than Panera Bread! Thanks So Much! We followed the recipe exactly and it is fantastic! We will be making this again soon! Loveeeeee this! Added the cheese super slow and had no issues. You can’t rush it! Kasey, I’ve been enjoying your recipes. I made this today and it was delicious! I halved the recipe, which I always do until I know it’s one I like, but it only made 2 1/2 cups, not 4. I did add a little xanthum gum because I like a thick soup. Thank you for your dedication to making good keto food! So glad that you loved it! Blessings! That information is listed at the very bottom of the recipe. Sounds like a great idea to add rotisserie chicken. SO glad you enjoyed it! Mine came out great!! I thought of adding a few tablespoons of almond flour to the skillet and to the broccoli when they were both in the final stages prior to adding cheese. I did use sliced Gouda instead of the Swiss cheese and I cut chunks of sharp cheddar into the cream base and whisked about 8 pieces at a time worked very good! Fantastic! Thanks so much for the tips! Used a cast iron skillet and had no trouble with my cheese clumping!! Loved the finished product. We just made the soup, it’s better than any broccoli cheese soup I’ve ever had. Certainly better than I’ve had in a restaurant. I had no problem with clumping. I used kraft with Philly cheese! So glad you loved! Thanks for taking the time to comment. It’s the xantham gum making the soup glob up. How can we add the xantham gum so that it doesn’t do that? I made this soup yesterday and it turned out so good. I don’t consider myself a great cook, at all, and I managed to pull this one off. Yay me! Reminds me of Panera Bread broccoli & cheese soup and I served a cup with a wedge salad (also low carb) and it was delish. Thanks for the recipe. I’ve passed it on. Fantastic I’m so glad it turned out for you and that you enjoyed it. Delicious. I just made this. I added 1/4 cup red pepper and 1/4 pumpkin spice. Perfect! Glad you enjoyed it. In my experience so far it has not worked. Wow! This was amazing. I fell in love with your website last week when I made the pumpkin cream cheese muffins (OMG… so good!) so when I came across this recipe, I knew it would be good. I read the reviews and I was a little worried about getting a clumpy cheese ball, but as soon as my cheese sauce started to get thick, I would add about a cup of the hot broth that the broccoli was boiling in and it would thin right back out. The end product was so delicious. My kids loved it, and the picky one even got seconds. Thank you so much! Awesome! I’m so glad you loved both of the recipes. This the most awesome soap I have LOVED! Yay! I’m so glad you loved it. Tried this last night, and loved it!!!! I added ghee butter instead of regular butter. Is that ok? Awesome. Sure! The great thing about recipes is that they can always be customized to your personal liking. I made this tonight. It was delicious. Husband approves. No problems on the cheese melting. I used a Enameled Cast Iron Pot on a low setting. I whisked and whisked till all the cheese melted. I used Glucomannan instead of Xantham Gum. Awesome! I’m so glad you loved it. Awesome soup, thanks for sharing! !